On Saturday afternoon with friends, Prudence dressed a cheerful dress. She likes multicolored patterns with sweet motives, a ruffle and lace. 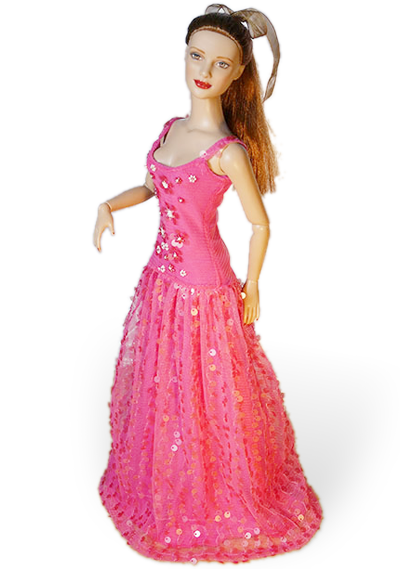 For playful Saturday afternoon with friends, Prudence dressed a nice cheerful dress. She likes multicolored patterns with sweet motives as little hearts and candies on pink background. The material is light cotton cloth. Colors and motives are combined on skirt and ruffle and the ruffle is lined with violet embroidered lace.